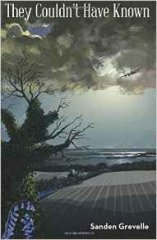 A village near London is destroyed during World War Two, not by enemy action, but by the ruthless development of a civilian airport under the guise of wartime requirements. The poorest of the village, including two indomitable spirits – Lizzie and Allen – offer the greatest resistance. A captivating debut novel that deals with nature, airport expansion, immigration, love and post-traumatic stress. Sanden Grevelle grew up with a deep love of the natural world; which survived a formal scientific education and a career in education of some standing. Married with children and grandchildren, Sanden mourns the younger generations’ loss of freedom and alienation from the natural world. The main characters, brought up in a traditional rural society are faced with the rapid changes in England in the late 50s and early 60s. Land development, immigration, the beginnings of the "swinging 60s" and massive changes in culture and outlook form a fascinating backdrop to the story. Reading this book, one can understand how today's society developed and can feel sympathy for those who have been overwhelmed by today's "modern times."